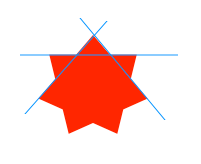 Use this type of object to create a multi-point star. Use the magic panel to control the number of star points. You can interactively set the depth of each star point. The Ideal button sets the star depth so that alternating star points are aligned like this (thanks to Peter Hosey for the ideal star concept). 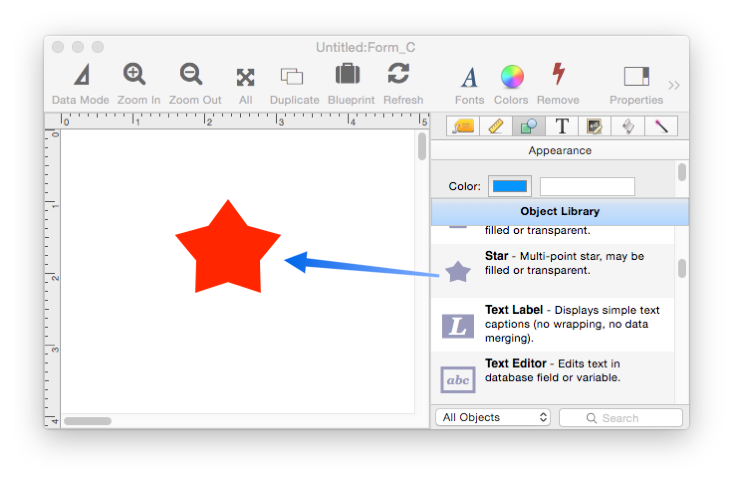 If you hold down the Option key when you change the number of points, the star will automatically adjust to keep the ideal depth as the star flexes. Finally, you can also dial in the angle of the top point of the star.